When it comes to our carpets spills and accidents it happen to all of us. Families in Castle Rock need a carpet cleaning company they can count on to tackle the stains that spills an accidents that happen on an every day. Here in the Castle Rock, families trust their sills and accidents to TLC Carpet Care. Our experienced technicians bring experience of carpet cleaning problem solving with a variety of finest stain removal chemicals and carpet cleaning equipment. TLC Carpet Care can remove all type of stains from any carpet or upholstery no matter what the fabric content that you’ve got. We can also apply Dupont Teflon to protect against future stains and spills. Do you have a difficult stain to remove that quite the eye soar? Here are some suggestions from TLC Carpet Care to keep in mind. You Need to Clean the spills as soon as possible. The earlier you clean the spill the less easier it will come up and less likely to become permanent thou some things that may have dye in it will stain immediately. So the sooner the better your chances of avoiding a permanent stain. The longer a spill or stain stays in your carpet or upholstery fibers, the chances and probability of it being very difficult to remove. Removing stubborn stains and stains that are high in ph will likely to require ca carpet cleaning company. Stains that have had a chance to sit may start the oxidation process. Don't wait call TLC Carpet Care In Castle Rock. Since each spills unique and comes from a variety of chemical makeups, each spot and stain may require a different carpet cleaning chemical application. TLC Carpet Care uses an variety of industry recommended carpet cleaning chemicals from, green-certified carpet cleaning applications designed to defeat even the toughest of stains. Trust our experienced technicians to be able to identify and use the best stain removal chemical for that particular stain: the right solution, in the right quantity as soon as possible is the best chance to avoid a stain becoming permanent. TLC carpet Care's techs have removed all kinds of stains from: berry, soda, fruit juice, blood, candy, nail polish, coffee, Kool-Aid, jelly, soils, makeup, ketchup, mustard, rust, wine, cat and dog urine, and more. 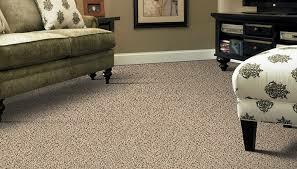 We also specialize in carpet repair if the stain cannot be removed. If we run into a stain that are permanent, we’ll let you know. What’s more frustrating than having to spend time and money removing a stain? Seeing the stain wick back up just a week or two later. This is common and the cause is a result of ph being to alkaline. Here’s why stains may come back. The stain was just covered up, but not removed; sometimes the chemicals will just cover up a stain than just removing it completely. When soaps like Resolve are used, a residue is often left behind; any sticky residue can attract more dirt and grime to the original spill. TLC carpet Care has seen this happen thousands of time and knows how to correct the problem, and TLC knows how to ensure that removed stains don’t come back. We use our cleaning solutions just the right amount to make sure that we don't leave any residues in your carpet, and we take the time to do it right. If a stain does reappear, we will come back out to your home to remove the stain – until that stain is completely removed or minimized.